Genialsozial | Ärzte für Madagaskar e.V. Once a year, pupils in Saxony miss school to go to work. What may initially sound like child labour is in fact a rather clever idea: the pupils donate their work experience earnings through the organisation 'Genialsozial' to support projects that they themselves have voted for. In 2013, the Schools' Parliament chose Doctors for Madagascar as the recipient of the donations - so we could celebrate getting the support of 25,000 school children! The donations came to such an impressive sum that we were able to go ahead with a big project: building the new hospital in Fotadrevo. Thanks to the money given, the hospital now has 2 operating rooms, an emergency room and 14 more beds. In addition, rooms for diagnostics and outpatient treatment, an X-Ray room and a delivery room have opened their doors to patients. The clinic is able to offer more treatments of a higher quality, and has significantly enlarged its capacity: what a great scheme! 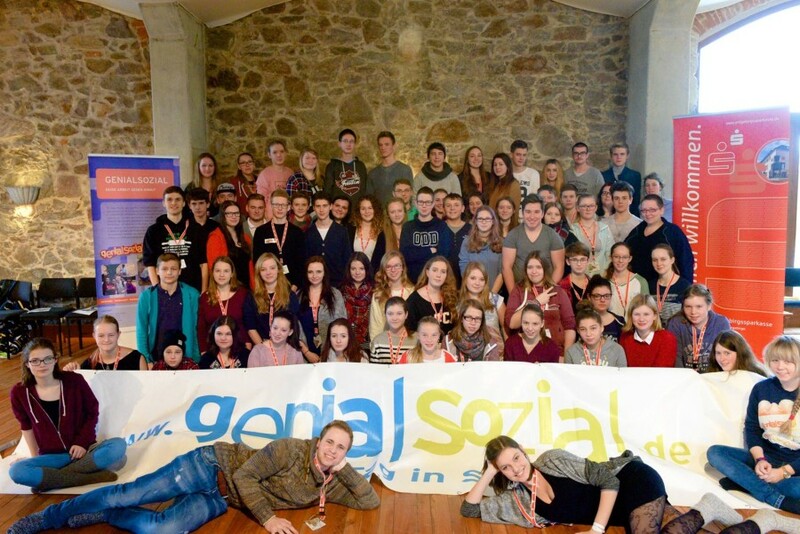 The pupils' jury at the Genialsozial jury meeting 2016.